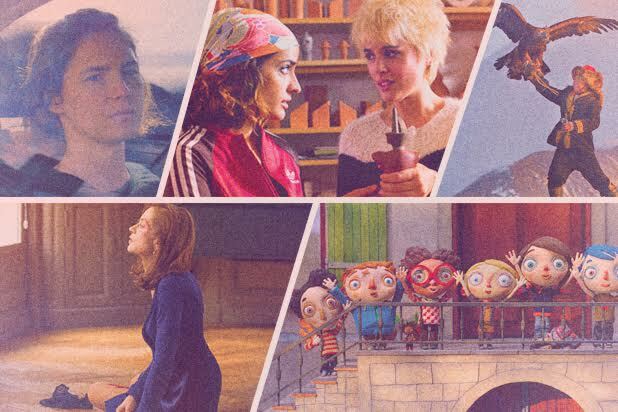 TheWrap’s landmark film series – Awards and Foreign Films – bring together the year’s most notable films in contention during awards season along with the top foreign films from around the world seeking to win Best Foreign Language film at the Academy Awards. The films are screened for TheWrap’s high level audience in Los Angeles, with the opportunity for live question and answer sessions with filmmakers and actors. The film kicks off on October 17 with Almodovar and his film “Julieta,” Spain’s official selection the 2017 Academy Awards for nomination to the highly competitive Foreign Film nominees. In “Julieta,” the title character (Adriana Ugarte and Emma Suárez, at different ages) lives in Madrid with her daughter Antía. They both suffer in silence over the loss of Xoan, Antía’s father and Julieta’s husband. When Antía turns eighteen she abandons her mother, without a word of explanation. Julieta looks for her in every possible way, but all she discovers is how little she knows of her daughter. “The Eagle Huntress,” a documentary about a 13-year-old girl who trains to become the first female in 12 generations of her Kazakh family to become an eagle hunter. “We are X,” a documentary about a hugely popular rock and roll band from Japan. “The Ardennes,” Belgium’s submission for the foreign Oscar, about a prison convict who upon release struggles to get along with his brother. “Elle,” directed by Paul Verhoeven and starring Isabelle Huppert as a successful businesswoman gets caught up in a game of cat and mouse as she tracks down the unknown man who raped her. “Amanda Knox,” directors Rod Blackhurst (Tribeca Audience Award-winnerHere Alone) and Brian McGinn (IDA Award-winner Chef’s Table) and producer Mette Heide (Peabody Award-winner India’s Daughter) explore the notorious case that made headlines around the world. Many other of the season’s leading films will be screened in the series, and will be announced as they are confirmed. The series is open to subscribers to TheWrap’s First Take newsletter, with preferential seating for AMPAS and guild members. For the full information about the screening series, check out our Screening Series page. To sign up for invitations to the series, go here!